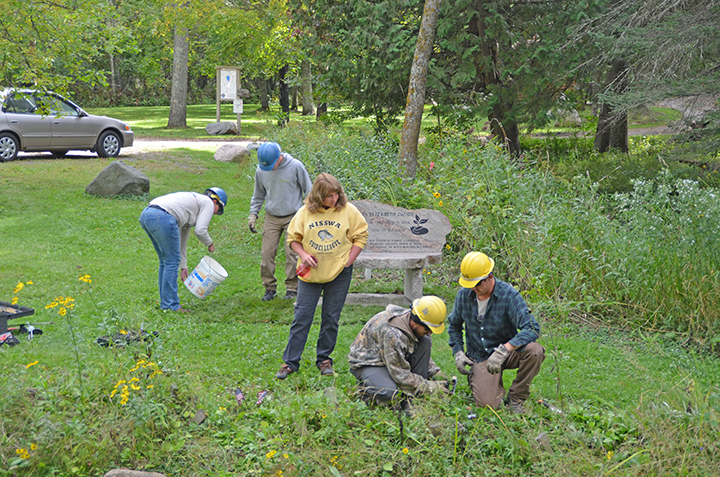 Caitlin Daudt served as an AmeriCorps member with Conservation Corps Minnesota & Iowa through the summer Conservation Apprentice Academy program in 2014. 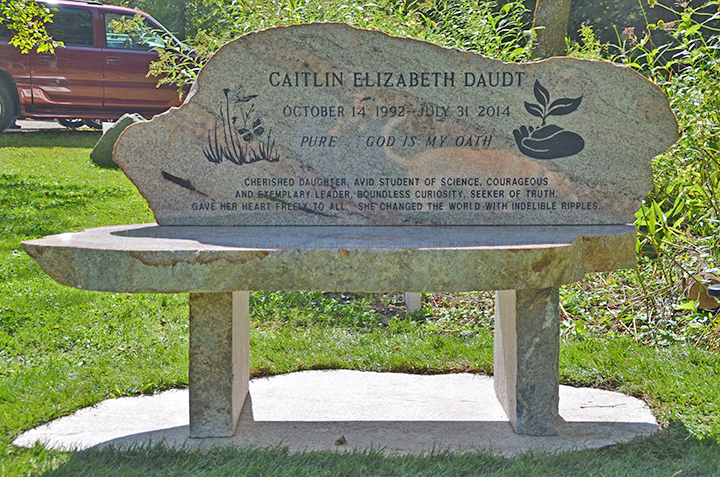 On July 31, 2014, Caitlin died in a vehicle collision while on her way to serve at her host site, Crow Wing County Soil and Water Conservation District in Brainerd, Minnesota. Caitlin was an exemplary member of Conservation Corps. Her dedicated work as an apprentice in Crow Wing County greatly contributed to the lives of community members and the natural resources of the area. Caitlin’s life and work spoke volumes about the passion she had for service, the environment and the people of her community. 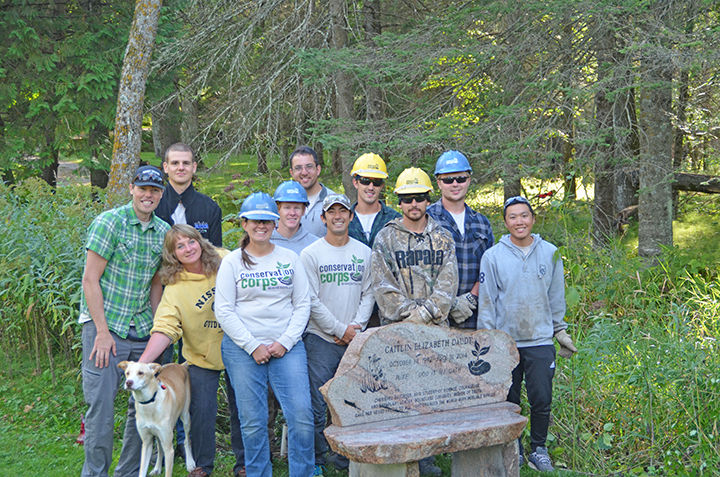 In honor of Caitlin’s life and service, Conservation Corps and Crow Wing SWCD assisted in raising funds to support a memorial project for Caitlin at Fritz Loven Park near Brainerd. 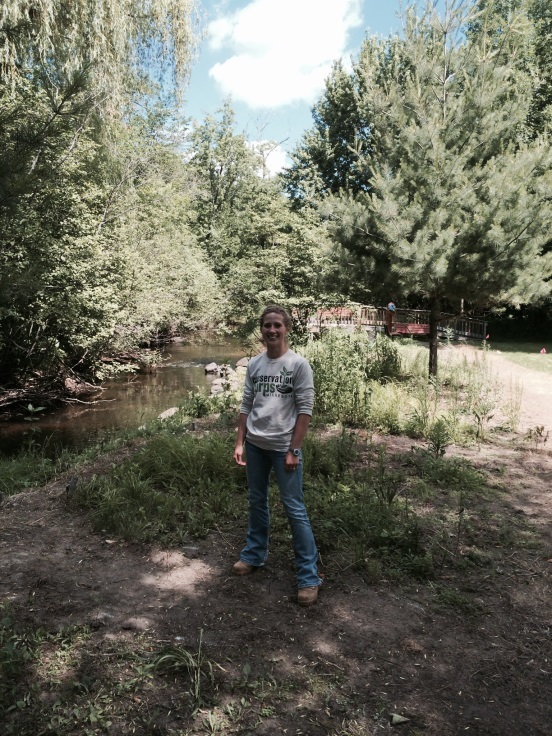 Caitlin participated in shoreline restoration projects on the banks of Stony Brook, which flows through the park. 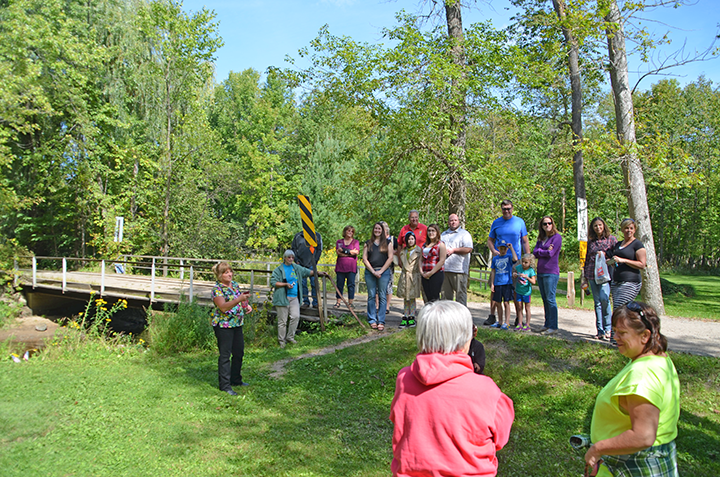 She was deeply passionate about these projects and her service work in this public place. 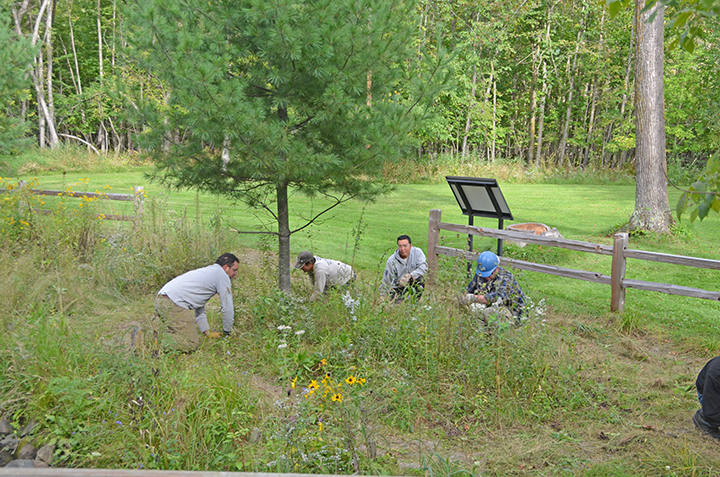 The memorial project was completed on Saturday, September 12. 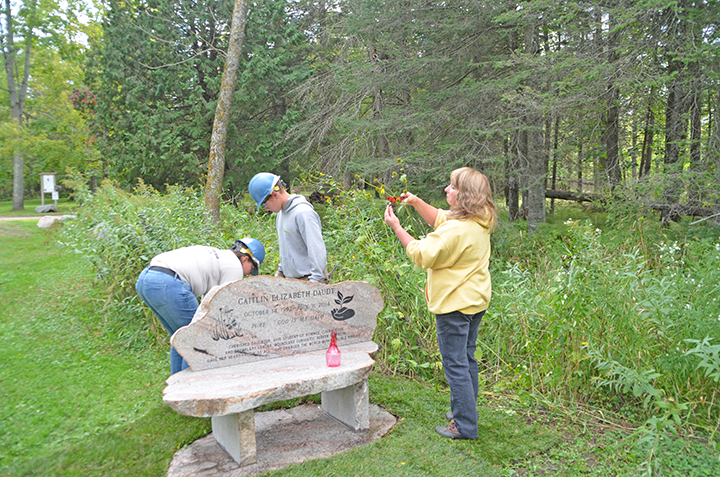 Family, friends and Conservation Corps Minnesota members and staff were present to help install a bench, put in native plantings and release monarch butterflies near Stony Brook, in honor of Caitlin.